Intravenous fluids are supposed to improve or control a patient’s condition, but they may be doing just the opposite for patients with severe heart failure, according to a new study. The observational study, led by researchers from Yale, was published in the Journal of the American College of Cardiology (JACC): Heart Failure. According to a news release from Yale, the study is the first to examine use of common IV fluids in hospitalized heart failure patients. In many cases, heart failure patients are treated with diuretics to avoid fluid buildup. But many patients also receive IV fluids in the early state of hospital care. For the study, the investigators looked at data from over 130,000 hospitalizations of patients with heart failure who received IV fluids during the first two days. They found that 11% of the patients were treated with IV fluids in addition to diuretics. 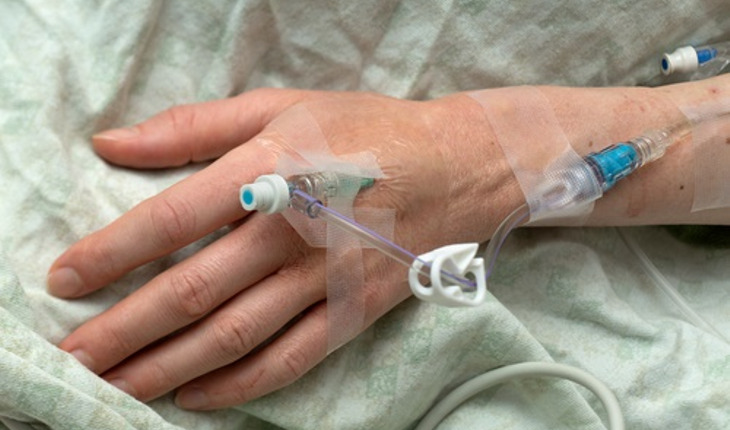 Patients who got both diuretics and IV fluids were more likely to suffer higher rates of critical care admissions, intubation, dialysis and death, when compared with those who were given only diuretics. Although the researchers didn’t prove a definitive link, they said the subject warrants further research.